14k gold and diamonds ring,0.5950 ct of diamonds. 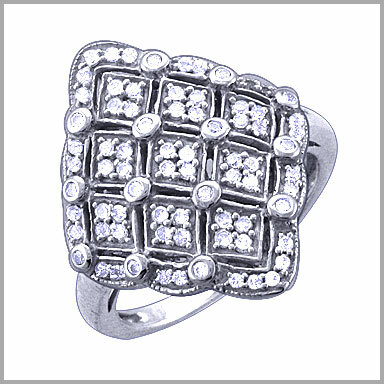 Crafted in your choice of polished 14K white or yellow gold with rhodium plating, this ring features 76 full round cut diamonds in bead settings. 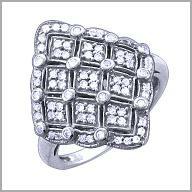 The diamonds make up a design which decorates the finger from knuckle to knuckle. The total diamond weight is approximately 0.5950ct with a color of G-H and clarity of SI. The setting size is 15/16" x 3/4" with a height of 1/8".